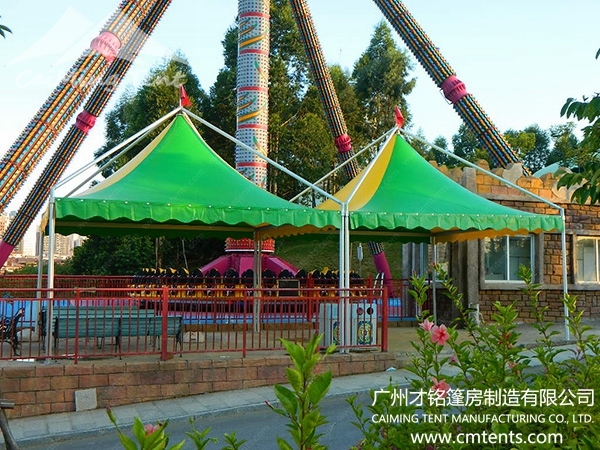 Gazebo tents are similar with pagoda tents on shape, with innovative and user-friendly design, are easy and speedy to install, dismantle, store, and transport, the big difference is that the gazebo tents are with outside roof beams, and pagoda tents are with inside roof beams. 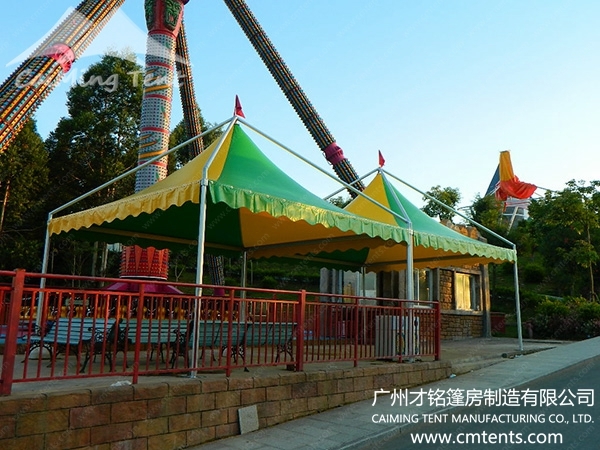 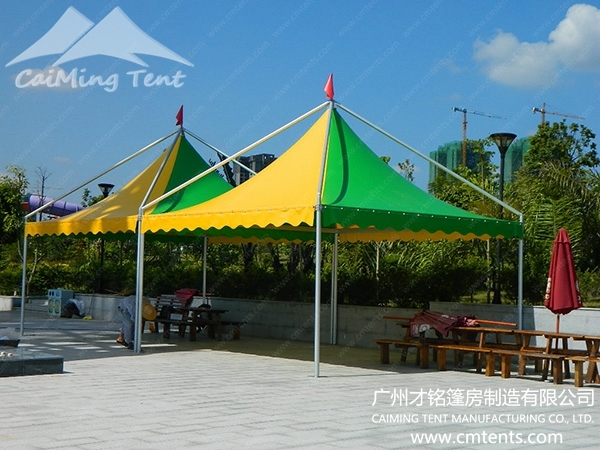 Due to their unique shape, gazebo tents are widely used as foyers for other accommodation halls, so usually you can see pagoda tents and A frame tents installed together. 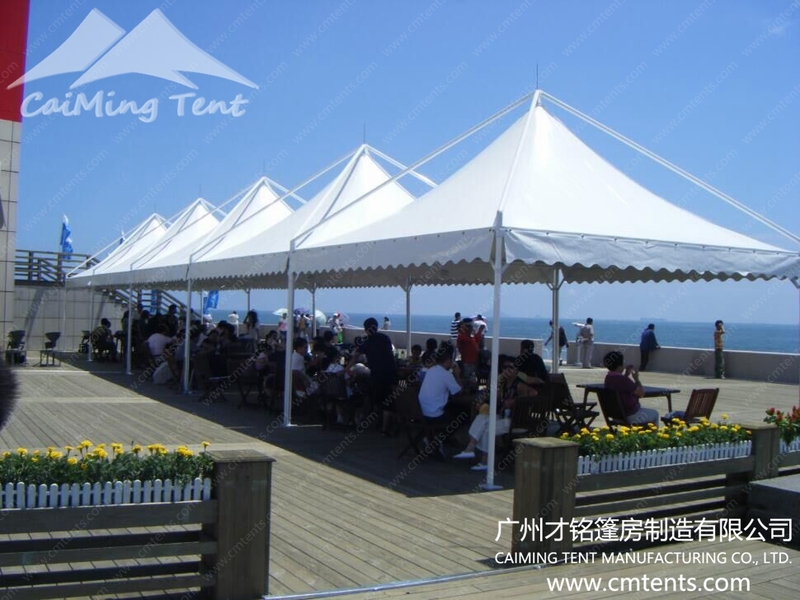 Besides, gazebo tents are widely used for trade shows, golf events, festivals, exhibitions, shop space, marketing point, hotel facilities, coffee bar facilities, restaurant facilities, etc. 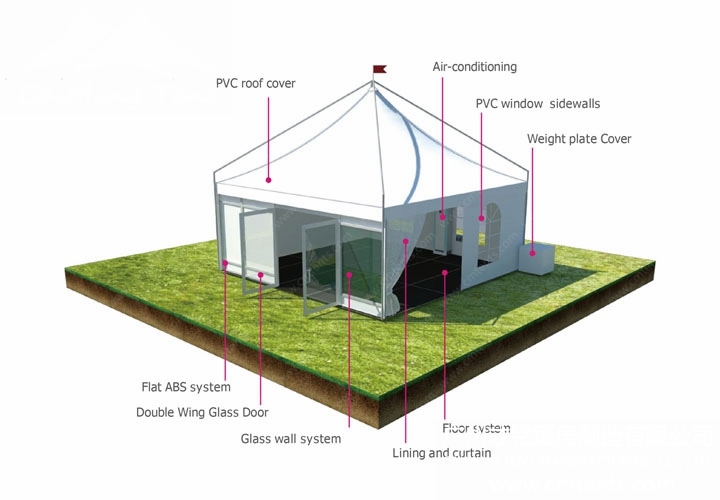 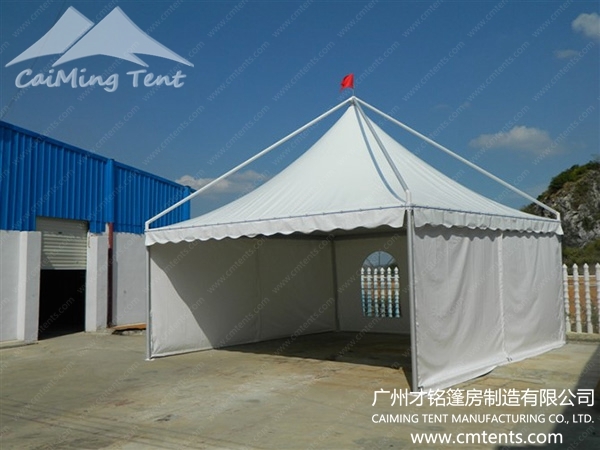 Gazebo tent is available in 3m x 3m, 4m x 4m, 5m x 5m, and 6m x 6m standard sizes. 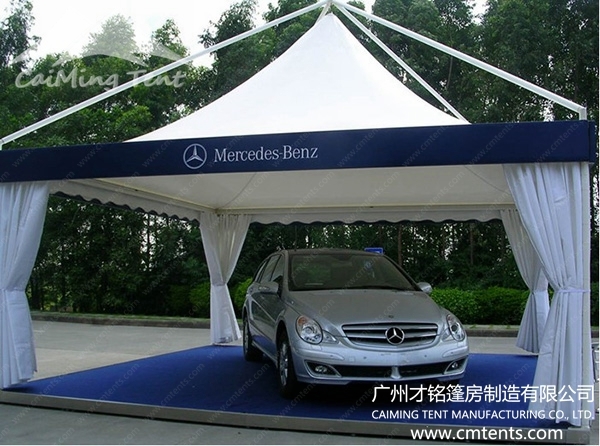 Gazebo tents manufactured in CaiMing Tent, is the ultimate tents for any event with its elegant and easy-assembly design, and there are massive optional accessories, including wooden flooring system, glass walls, solid ABS walls, soft PVC sidewalls with clear windows, glass doors, door canopies, rain gutters, roof linings and walls drapes, ramps, racks, etc.